Apple’s iPhone lineup has never ever embraced the concept of having dual-SIM card support, with its Android counterpart being in these waters for quite a while. Luckily, iPhones have never fallen short of support from an array of industries, with dual-SIM adapters being available for the iPhone for quite a while now. 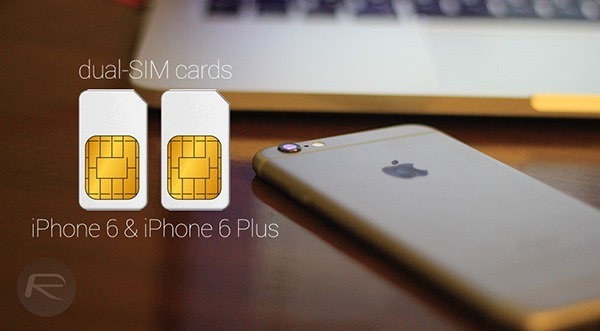 If you feel the need for two SIMs on your new iPhone 6 or iPhone 6 Plus, you’re in luck as well. Magic-SIM is one company that has been involved with providing dual-SIM solutions to various mobile phones, including the iPhone for some time now. 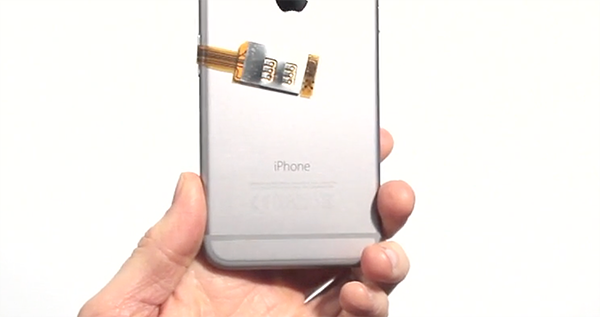 The Magic-SIM ELITE dual-SIM adapter has now been released for the iPhone 6 and 6 Plus, and before we tell you how it works, you should know that this adapter provides a quick and easy way of switching your cellular connection on your iPhone, and does not activate two networks simultaneously, which is a real bummer. But at the same time, you get the benefit of switching networks on the fly, which is nice. The adapter requires users to be in possession of one nano and one standard sized SIM card, where one end of the adapter which is shaped as the nano SIM is inserted into your phone along with your SIM. As for that regular SIM card of another network of your choice, insert it into the other end of the adapter. Flip or fold the adapter to the back of your iPhone and slip on a nice little protective case to complete the dual-SIM contraption. Now you have two SIM cards connected to your iPhone 6 / 6 Plus, and you can change your network with a few ridiculously easy steps: Launch the Settings app and navigate to Phone > SIM Applications and select your desired SIM Card. Magic-SIM ELITE dual-SIM adapter for iPhone 6 and 6 Plus fully supports all types of networks including 3G, 4G, LTE, GSM, GPRS, EDGE, CDMA, UMTS, WCDMA and HSDPA. The tweak of a gadget is compatible with both iOS 8 and iOS 7. The Magic-SIM ELITE for iPhone 6 and iPhone 6 Plus both cost £24.99, and if you’re a frequent traveller then we recommend that you go ahead with the purchase. I would like to know if you can receive call from both sim ? I doubt you can. Since the sim cards are not simultaneously active and you have to change whether if sim 1 or sim 2 is the primary active card, it will be one at a time. But nice and convenient workaround, nonetheless. I see phones with dual sim capability (it doesnt need to be an accessory) in India atleast 9 yrs ago. There was no hassel to go to settings to choose the sim. Even the call charges are dirtcheap. Not sure how companies in US being a DEVELOPED country charges lot of money for calls and introduce features like this as if they were first ever in the world. both sim stay active (standby to receive call). When you pick up call from Sim 1, then Sim 2 will be inactive temporarily. When Sim 1 call is disconnected, both Sim will be back to active (standby to receive call) again. Vice-versa…. Dual sim phone is very common in China and many less-developed countries. this accessory has been out since the iphone 4… it doesn’t work as it isn’t very reliable… (the second sim doesn’t connect well w/ the accessory) and from the experience I had, only 1 sim could be active at a time and you would choose from the settings. I ended up sending it back and getting the $5 back or whatever I paid for it on eBay. There’s a mistake with the SIM card sizes mentioned. A ‘standard’ SIM card is the size of a credit card. The one pictured above is called a ‘Mini’ SIM card. Buy a Blu studio 5.5s. Apple waited forever to give the world its big screen. How long then for dual active sims? That is all that they are missing. Actually in SIM Applications go to 2 Sim Online – keep the switching time to minimum say 5 and that will do the trick. No this case only one sim is active if you activate sim1 then sim 2 is not connected to network. They work but the only thing I don’t like about it is that you have to set a time interval for it to switch back and forth between SIM cards and if someone calls the number that your not using at that time then it just goes to voice mail. Plus you don’t get all your texts wile your phone is not on the number that’s being texted. I have 2 if them and there just sitting here collecting dust now.